TEFL Volunteering is working as an English teacher in a school without being paid; often this is wrapped up as a Gap Year experience where you can go abroad to some exotic location and spend a few hours each day in the classroom and then lie in the sun. Some volunteering organizations require that the volunteer pay for placement, especially when it is offered as a gap year option. This can run into thousands of dollars. This payment makes volunteering big business and whereas before volunteering was a useful way to help poorer communities now it is mainly about making money for the volunteer organizations and there is growing criticism of the way in which it works. Whilst there are undoubtedly very good organizations arranging volunteering overseas, there are also some very poorly run companies arranging problematic volunteering positions. Volunteering is good for several reasons. At its most altruistic level volunteering is about helping others less privileged. Undoubtedly knowledge of English can be of great benefit to people in terms of finding work and if you volunteer to teach in a remote community who do not have an English school then you can really make a difference. You may also volunteer to work in a school which could nor normally afford to get a professional English teacher; this is good for the school and good for the students. On a more personal level, volunteering allows you to get experience before you go into a professional job teaching. It also looks good on your CV/Resume‏‎. But having said this, there are also some very good reasons not to volunteer which are explored below. The best place to volunteer are those places where the need is greatest. This may sound obvious but this point is often overlooked. Who needs an English teacher? This could be as simple as your local community centre where recent immigrants to your country need survival English in order to get around and begin to work in the country. Your work there could really make a difference and many community centers rely solely on charity and unpaid help in order to make a difference and help others. And finally if you have knowledge of a genuine school which needs help (perhaps through your local church or family/friends abroad) then you can always contact them directly, thus cutting out the middlemen. Volunteering is not advisable in countries and schools where it is not really needed. There are a number of good reasons for this but unfortunately this has not stopped some commercial organizations agreeing to supply volunteers to schools who should really be employing a qualified teacher on full pay. The volunteer organization (essentially a middleman) gets paid both by the school and the volunteer. They make money from you, the volunteer and the school who needs you. The school pays the volunteer organization but gets a cheap teacher to work for them at far less cost than a professional teacher. These positions can cost the volunteer upward of 1,000 dollars and often the volunteer organization will insist the volunteer take a TEFL/TESOL course from them, thus making more money out of the situation. The people who end up paying for this are the volunteer who is working on the cheap and the students who are paying for a professional teacher but who will receive, in all likelihood, an untrained newcomer. With some commercial organizations there is the problem of support as well. Unlike larger NGOs they are not equipped to deal with major emergencies and problems and they do not have the infrastructure in place to get their volunteers out of a place in an emergency. 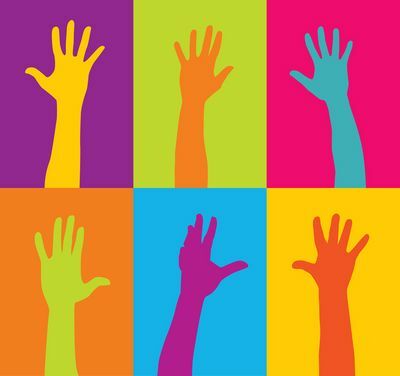 Given that the usual minimum qualifications for teachers‏‎ are a degree and a TEFL certificate, these should be the minimum requirements for volunteering also. Having these ensures the teacher is capable of doing their job properly. Whilst volunteering is good in itself, you should be aware of the potential problems it may cause if you are in a school like the ones mentioned above. Essentially you will taking the place of a trained teacher. In the long run this devalues the profession and this teaching on the cheap does no good to the school, the students or the profession as a whole.